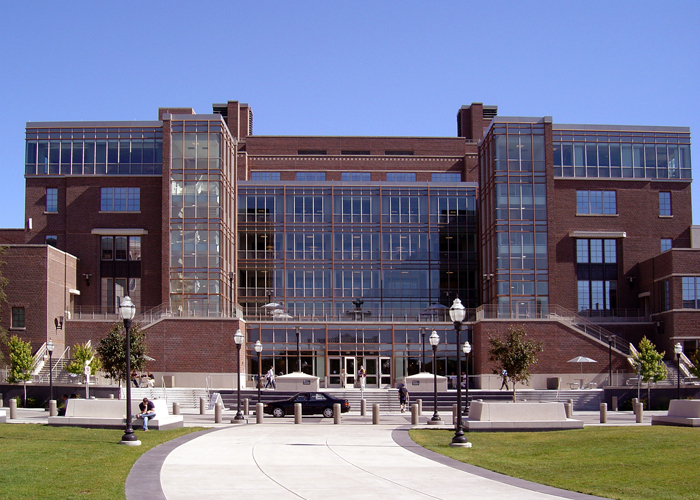 The renovation of Coffman Memorial Union is part of the University of Minnesota’s Riverbend Commons development project, intended to restore Cass Elliot’s original architectural plan to visually connect Northrop Mall to the Mississippi River. MBJ provided structural design for a new five-story atrium entrance and interior renovation, totaling 350,000 square feet, as well as rehabilitation guidance for the original 1940s Art Deco structure. 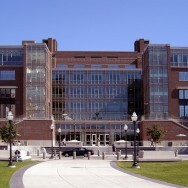 The new atrium addition involved the design of new members and correlating connections to the existing structure. Because occupancy of the building had changed, the existing structure was not everywhere adequate to meet the demands of current building codes, drifted snow load requirements, or higher wind loads. MBJ provided design solutions to fit each of these situations. For example, steel beams or new two-way slabs were used for underfloor reinforcement over the existing structural concrete system. Overall structural systems for the addition are cast-in-place concrete and structural steel. Renovation of the existing interior spaces created new spaces for food service (14,000 SF), a new Campus Club (22,000 SF), computer lab, 400-seat theater, office and conference spaces, and a new bookstore, carved out of space previously used for parking underneath the plaza. Fortunately, the vintage concrete pan-and-joist structure of the existing building was largely intact, but where localized repair was required, MBJ designed the details. MBJ also provided “means and methods” services for the general contractor, which included analyzing existing structures for specific equipment, design of a tower crane pad on the existing structure, and providing shoring design criteria. The tower crane pad ended up doing “double duty” at the end of the project, when it was used as the pedestal for a new exterior fountain on the south plaza.